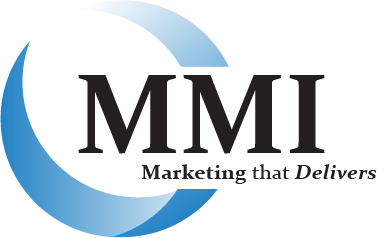 Careers | Manufacturers Marketing Inc.
Manufacturers Marketing wants to meet talented people who desire to be part of our team. If you’re interested in learning more about the career opportunities available at MMI, please email areeves@mmirep.com. Include your resume, cover letter, and position of interest. A qualified individual should have at minimum a general knowledge of plumbing and mechanical products. This position includes relationship building and product sales/marketing in the Wholesale, Contractor, Home Builder, and Engineer channels. The most important attributes of the candidate are a strong desire to win, to be self-motivated to accomplish goals, to possess strong relationship/communication skills, and to have a sincere desire to care about the customer and the customer’s needs. This position is in a demanding, fast-paced environment that requires a positive attitude, flexibility, and excellent prioritization/time management skills. Responsibilities include customer service support, expediting orders, and problem-solving with heavy phone and computer work. This role demands someone who is proactive and self-sufficient with customers, product lines, and other responsibilities. Must be a team player and be willing to learn technical information on products lines. This position is in a demanding, fast-paced environment that requires a positive attitude and flexibility from a team player. A/R responsibilities include invoicing, deposits, and calling on receivables. The Administrative Assistant role involves various sales/marketing related projects, including literature support, updating our database, and other misc. duties to support sales staff. This role demands someone who is proactive and self-sufficient with strong problem-solving and computer skills. Warehouse responsibilities include shipping, receiving, inventory control, customer service, and facilities management. The Warehouse Assistant Manager role involves counter help, pulling customer orders, processing outgoing FedEx and LTL shipments, and routing our dedicated truck. This position is physically demanding and needs someone who can keep up during fast-paced periods. This role demands someone who is proactive and self-sufficient with strong problem-solving skills and some computer background.